While I believe you can start and reset your goals at any time during the year, there's just something about the actual New Year. Perhaps it's the infectious mindset of growth and new possibilities. Whatever it is, if your goal is to work-from-home this year we have a stellar opportunity for you to achieve your goals and it's absolutely FREE! Skillshare, the online learning community, is offering YOU two FREE months of their online service, which means you can get a leg up on your work-at-home goals! Whether you want to start a business, boost your productivity, or learn a new skill, Skillshare has you covered. With over 25,000 classes in design, business, tech, and lifestyle — you can get the cutting-edge skills you need to work-from-home. If you're ready to get started — go HERE to sign-up! 1. Stand Out and Make Money on YouTube! Do you love being in front of the camera? If so, you can make good money by being a YouTube Creator. In this comprehensive class, Josiah (Jazza) Brooks who has over 3 million YouTube subscribers teaches you how to get set up, how to create standout videos, how to target your audience, and most importantly how to make money from your YouTube channel. Ever wonder what makes a successful business idea? Want to know how to score funding for your startup? In this class, Bill Reichert and Guy Kawasaki take their in-depth business knowledge and to teach you some of the most powerful principles they've learned over the years. In these video lessons and tactical exercises, you learn positioning, launching, fundraising, pitching, socializing and much more. Would you like to offer freelance services (virtual assistance, writing, graphic design, copywriting, bookkeeping, etc.) from home, but you don't have any clients? Then check out John's class where he teaches you how to utilize the popular freelance site, Upwork, to land freelance projects. By figuring out Upwork's matching algorithm, John has been able to consistently get high-paying freelance jobs using the platform. Do you love telling stories through your Instagram photos? Would you like to make money being an Instagram influencer? In less than an hour, you can learn how to create authentic content and monetize your following from Instagram lifestyle photographer, Sean Dalton. In this class, you'll learn how to create high-quality content and themes, simple photo editing techniques, and how to promote, grow, and monetize your following with paid sponsorships. Looking to get more done this year? Then join over 29K students who have taken Mike Vardy's productivity class. Mike has a unique system for accomplishing more, and that's his time-theming each day so that you work more efficiently. Along with this, Mike also teaches you how to create routines to simplify your workflow, along with utilizing the Todoist App to keep you on track. Taught by the CEO of Boss Mom, Dana Malstaff teaches how to be more efficient and effective with your time and resources. In this short 49-minute class, you'll learn how to set priorities and goals, how to get focused, effective communication, motivation, and more — perfect for the time-strapped business owner. Are you a creative that would like to start a home-based business? Then learn the ins and outs of freelancing as a creative from Martina Flor. In this class, you'll find out how to showcase your work, where to find clients, how to price your work, as well as workflow processes, building an audience, and lots more. One of the biggest questions, when you're starting out, is how much should you charge for your freelance services? Should I charge by the hour, project, or on retainer? In this no-nonsense 34-minute class, you'll learn everything you know about setting your freelance pricing competitively. Wondering how you can utilize social media for your home business? In this class, Cat Coquillette shows you how she took her hobby for art from side hustle to full-time business. 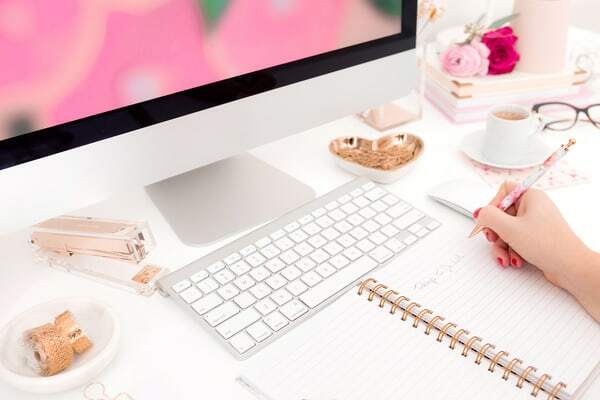 Focusing on Facebook, Twitter, Instagram, and Pinterest she'll walk you through the exact steps she took to take her business to the next level by using social media. Ready to Get Started — Grab Two Months FREE Right Now! If you're ready to get the skills you need to start working from home this year — you can sign up for two free months of Skillshare HERE. 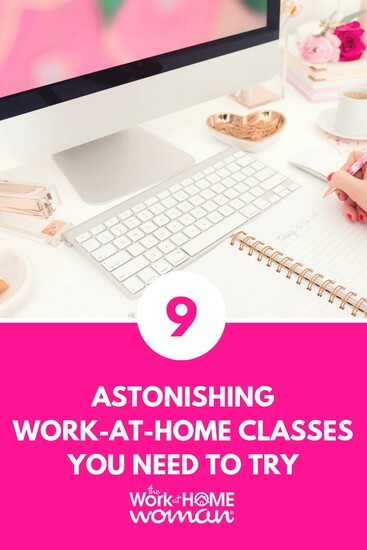 This is a limited time offer for readers of The Work at Home Woman. Skillshare usually is $15 per month or $99 for the annual plan. With over 25,000 online classes in a variety of lengths, there is something for every skill level and interest. Skillshare also has a mobile app so that you can take your learning on the go. If you'd like to take advantage of this special discounted offer — go HERE. Skillshare sponsored this post. Please be aware we only promote advertising from companies that we feel we can legitimately recommend to our readers. See our disclosure policy for further information.